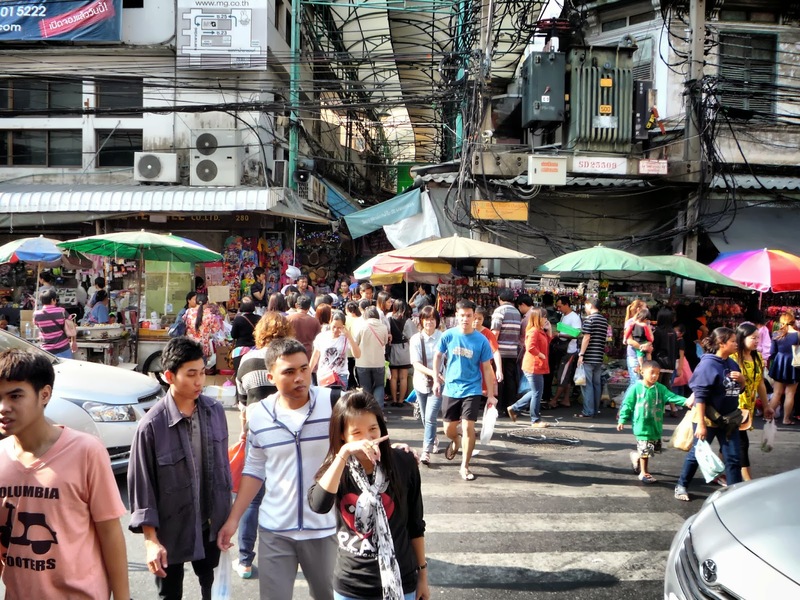 And thus you are walking and heading forward in those tiny narrow streets in the famous markets in Bangkok and you feel lost most of the time. But who cares when there is so much of everything that your head is after two hours of being bombed by visual stimuli of different kind absorbed to a level it is ENOUGH? No one.. The vision of shopping for much less than in Europe is like an addiction. Fortunately for us, it took only some time after you realize you are on a vacation not on a two weeks shopping tour. :) Therefore, after the first shock and excitement, we concentrated after first shopping fever on other things as culture and unique attractions you can see in Bangkok or on islands. 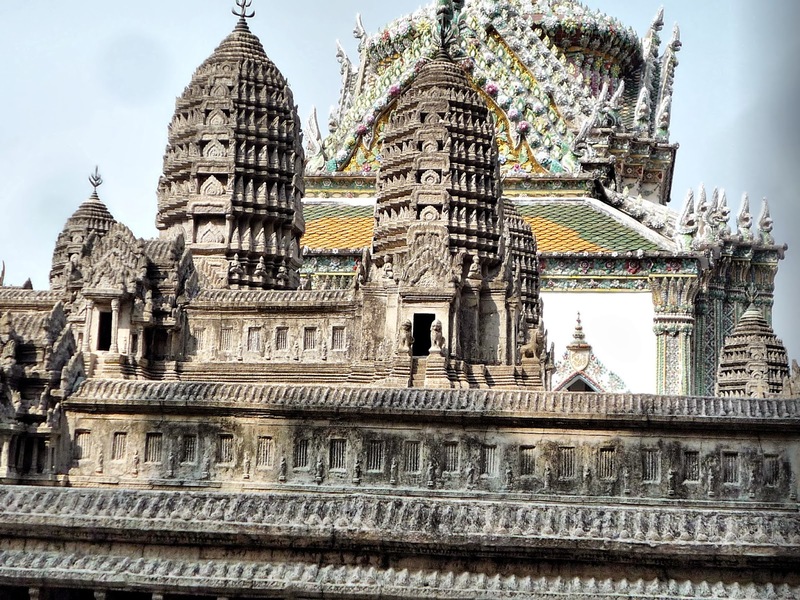 For example I really liked the model of Angkor Wat, Buddhist temple complex recently discovered in Cambodia jungle.. 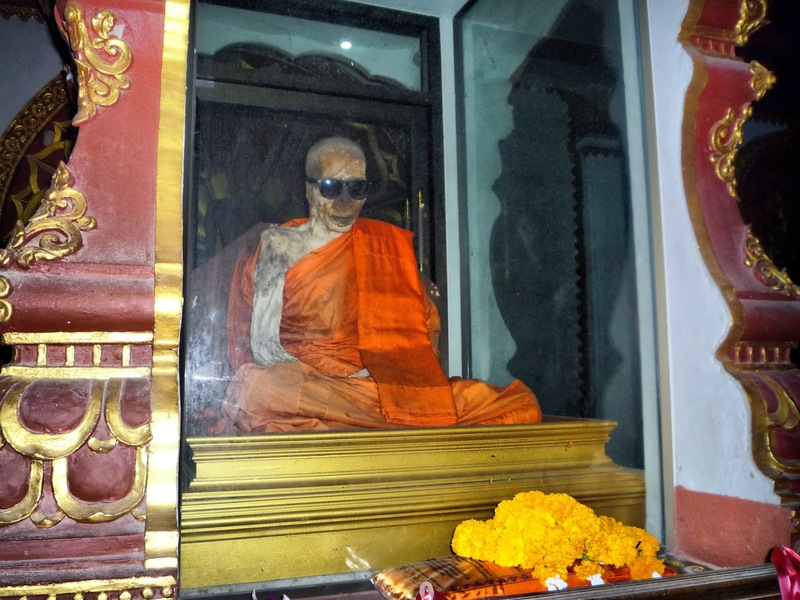 It was incredibly beautiful thing only to look at as a model with regard the fact, that it was built so early..
Or it were those funny attractions as an Undercomposed body of monk with Ray Ban glasses on, on one of the island (Koh Samui) whose wish was to be after his death exhibited as you can see on the picture.. What is a legend about him that he was able to foresee his own death and he foresaw that his body will remain after death undercomposed therefore he wished to be put in the upright position like this so that future generation would follow Buddhist teachings and be saved from suffering. There are many famous things you can read about in travel guides so I did not want to mention these here. Going back to shopping that we excessively did during our last days in Bangkok I need to mention that it is definitely worth to go to a tailor shop and have your suits custom made for very cheap price. We were leaving Thailand with custom made copy of Armani suit, shirts, and many many other things. You can choose whatever materials you like and they are able to make you your own jackets, pyjamas, whatever you like and can create in your mind, all of this ready in two days. So in comparison with other tourists coming back on a plane from the vacation burned from the sun and being proud about it we were coming back with lots of discovers about the islands and custom made shoes, belts and couple of things to wear for casual business days. I even had a handbag custom made, right on the street´s pathway, as you can see below.. It was incredible, all this cost only 12 EUR and I even have my own signature on it. I bet you can imagine I was more than excited that after half an hour waiting in the queue and chatting with a girl from Dubai giving me advice on how to marry a rich man I owned a handbag looking like a Birkin even with my name on it, not mentioning the famous lock, too. 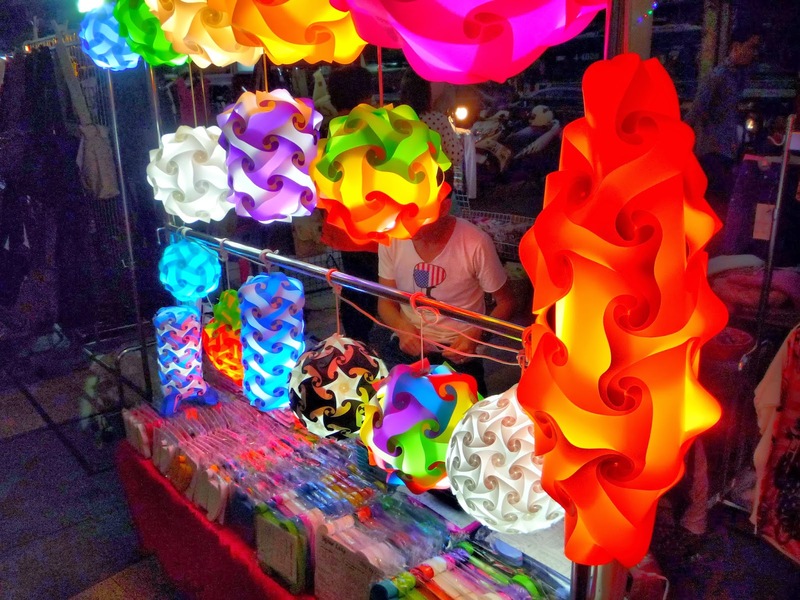 What was also interesting and it also came with us from Thailand were those funny lamps of different shapes and colors that you can create yourself on the same principle as lego functions. And I actually wanted to ask.. Would you be interested to buy them if you saw them available on the Slovak market? One of them is currently hanging already in our kitchen and it is indeed a great thing if you buy something really practical on a vacation that can bring your memories back every time you turn on the light.. 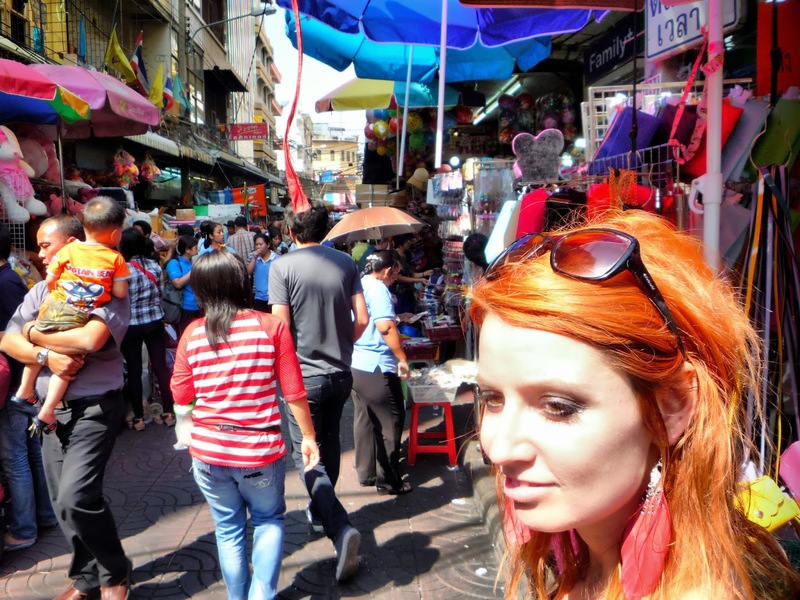 I can assure you I am finishing the trilogy about Thailand as I can imagine it can be not only frustrating to read about other persons´ vacation but also it is a but annoying as I would like to fly away every time I look at a blog myself. 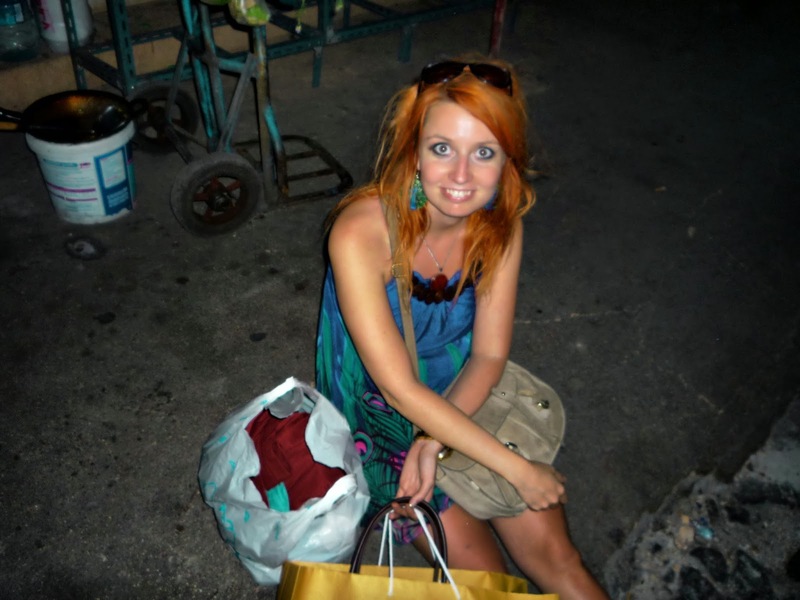 What I am happiest about the most is that I came back with a very different attitude towards shopping after this experience. Once you discover the real value of things you normally buy in Europe or in Slovakia, something inside of you moves. When you see that real worth of the clothes or other things is 20 times less than you are normally willing to buy it for, it can be a pretty putting of feeling when you remember all those little guys selling the same things on the streets on in the small shops trying to earn for their living. And I no longer feel like supporting all those distributors who are getting rich on other people´s misfortune. Funny, right? I would never say that I will start to think carefully before buying stuff. Well. Never say never. When you discover the true value of things, sometimes your whole world changes and you can start to concentrate on the right values that should be important to your life from the very beginning. And despite you can see me glowing from the excitement from extensive shopping up there on the picture, I fortunately had enough of shopping for another year. Shopping mekka fulfilled its purpose. I shopped and I left a little bit wiser (I hope:) and more appreciative of life itself, not things that yet cannot make you happy.